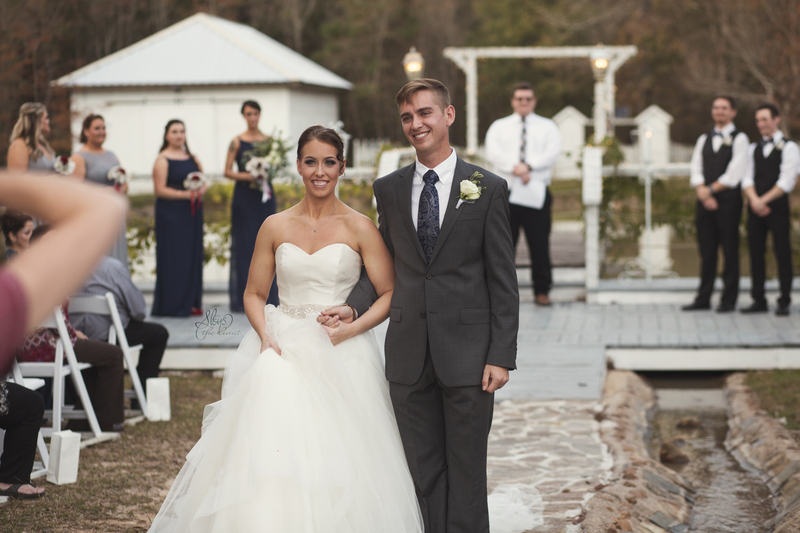 In Anna, Texas you’ll find a one of a kind venue that achieves the perfect combination of elegant and rustic with a French culture feel especially in the reception hall; after all it is called the River Road Chateau. With Valentine’s Day nearby and love being on many minds, this venue is opening their doors February 11th to showcase experts in the wedding industry as well as give detailed tours. During “Love Is In The Air Open House”, you’ll go through the reception hall, their signature outdoor ceremony and Belle Manor, and maybe get to hear some big upcoming projects. If you would like to join in on the fun, simply click on this link. This is a free event that will be from 2 p.m. until 4 p.m. and provide food, drinks, door prizes and other great surprises! You’ll also find Skys the Limit Production there; As usual, you can find me at the bright yellow table. I’ll be there to answer any photography or videography questions you may have! The video below features the beautiful River Road Chateau. Skys the Limit Production and Daydream Events by Jess teamed up to create “First Comes Love” to showcase beautiful venues like this one and talented vendors in and around Dallas. We created this quick video to show you guys a small tour of the place. Be sure to like and subscribe to First Comes Love on YouTube and if you would like to follow and subscribe with Skys the Limit Production for more videos click here. The oldest ballroom in North Texas is opening up their doors on February 1, 2018. This is a special venue for couples who have a love for music; this hall has hosted great names like Willie Nelson, Red Hot Chili Peppers, and Merle Haggard. Whether you’re looking to tie the knot, celebrate a birthday, or host a concert, the Longhorn Ballroom in Dallas, Texas is the place where you want to be for your next big event. The Longhorn Ballroom Open House will showcase many vendors around the Dallas-Fort Worth area who provide rentals, catering, floral arrangements, and more. Skys the Limit Production will be a part of the fun, displaying photography and videography work for small businesses, weddings and other events. You can’t miss us, we’ll be the table with the bright yellow table cloth! In addition to touring the ballroom, each guest will receive a swag bag along with two drink tickets with your choice of beer, wine, or cocktail. This open house lasts from 4PM to 8PM; to register, click here (its free!). You can find the Longhorn Ballroom at 216 Corinth Street Road. Hope to see you all there! As someone who does both video and photography, I have been on both sides of the fence. I’ve learned the difficulties that can arise when taking photos, but I also know the struggle of capturing video. I have even been fortunate enough to be hired to capture both video and photos for a wedding, with contract photographers of mine that I know and trust. In other instances, I have been hired solely to be the couples videographer, and I don’t know the photographers I will be working with. I’ve heard story after story about videographers getting in photographer’s way, for example, standing too close to the bride and groom for their first kiss. As a professional courtesy, I try to be conscious of this and make sure that I share the space and allow photographers time to capture the moment as well. I feel like videographers are getting the bad rep when there are also photographers who don’t consider the other professionals who have been hired for the couples big day. Before I continue I just want to mention that it is NOT my intention bash anyone, (again, I’ve been on both sides of the fence) If anything this is meant to be informative so that we’re all aware of the little things we may not realize we do, but have a big impact on our teammates for that wedding day. Here are a few tips I feel we could all use to play a little nicer on the field. Communication – Find out who you will be working with. Reach out to see if you can meet for coffee or brunch, ask them how they like to work, let them know how you operate, find out if they have a shot list, and vice versa let them know if there are any specific shots you have in mind. Getting to know each other a bit will make working together on event day so much smoother. Who knows, you might even make a friend! Acknowledge – Recognize that both of you have been hired to do a job – very important jobs at that. The couple is trusting on you two to capture their big day in your own unique way. Neither is more important than the other, and neither is the “leader” or “boss”. Take turns – Videographers, you need to accept that photographers need time for family formals along with the wedding party photos and of course, the couple’s photos. Take advantage of this time, take short videos of each of the photographer’s shot; one of those family member might say a little something for the couple during the reception and those clips would be great to add on top while they are speaking on video. Photographers be considerate of the videographer, if the sun is starting to go down give them some time to get action shots of the couple. A great way to share the time, is to allow 5 minutes for the videographer to capture some action shots after you have finished the group photos and then proceed to get the couples photos. Take advantage of some of the videographers action shots and shoot away! Once the videographer is done, the remaining time is all yours and everyone is happy. Ask – Ask each other if you need something. Every time, I have a photographer or videographer ask me if I need to borrow anything like a battery, SD card or light, I feel much more at ease knowing this person wants to work together. Speaking of light, there are lights coming from the videographer and from the photographer, make sure your lighting is fine for the other person – ask. Also, communication isn’t just verbal, it comes from our actions as well. Making eye contact with one another to see if you’re good to pass across them while getting shots is helpful too. We already have to deal with Aunt Glenda walking in front of the shots, let’s not be in the way of each other. While, were on the subject of asking, don’t assume just because you’ve gotten all the shots you need that everyone is good, ASK the other if they need anything else. This goes back to neither the videographer or the photographer is the “boss”. Breath in and out – Okay, so we are not perfect. As much as we acknowledge, communicate, and take turns with each other, we will still make mistakes and still get in each other’s way. The only thing I’ve learned is to be patient and press on because that day is not about me or you, it’s all about the bride and groom, and us doing are absolute best in capturing their big day.